Two of the city’s oldest family businesses made history In September 2015, by joining forces to offer customers almost 400 years of jewellery trade experience. Precious metals specialist the Stephen Betts Group (49/63 Spencer Street), which started life in the Jewellery Quarter in 1760 at the dawn of the industrial revolution, has expanded its services by acquiring neighbouring tool provider Sutton Tools (Vittoria Street). 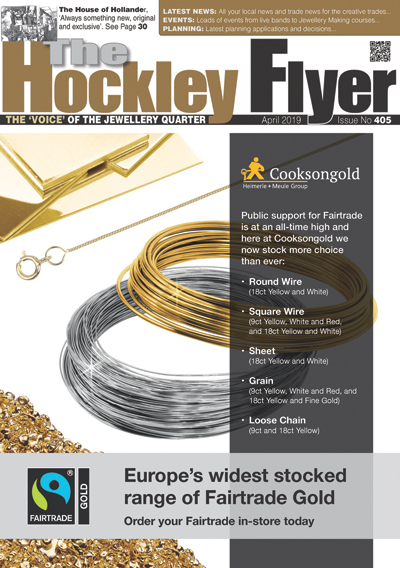 Charlie Betts, Managing Director at the Stephen Betts Group, described the sale as judicious, saying: “Sutton Tools has been providing tools to jewellery makers for 131 years and our two companies would have traded together as far back as the 19th century. As very long standing family businesses, both Sutton Tools and the Stephen Betts Group place the well-being of staff at the fore, and also share a passion for quality, service and knowledge of the industry in which they operate. 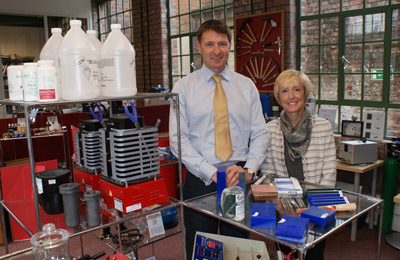 The sale comes as current managing director of Sutton Tools, Maggie Nichols, prepares for retirement. Maggie described the deal as the best possible outcome for Suttons and its staff, who will all be remaining with the business at its showroom on Vittoria Street. She explained: “Suttons unrivalled length of service to the jewellery manufacturing industry will add to Betts’ fine array of products and services it already offers, and help to widen its customer base even more, so more customers can benefit from the increased range. Sutton Tools has a strong reputation for bringing the latest technology to the UK market and is the sole UK representatives for the PUK precision welding range from Lampert and for the GRS and Gravermax range of work-holding and engraving systems from Glendo in the USA. In addition the company has always sought out innovative hand tools and equipment from all parts of the world.